It’s obvious from the bookshelves and the big screen that heaven is on everyone’s mind. All of us long to know what life after death will be like. Bestselling author John Burke is no exception. For decades, he has been studying accounts of people who have had near-death experiences (NDEs). 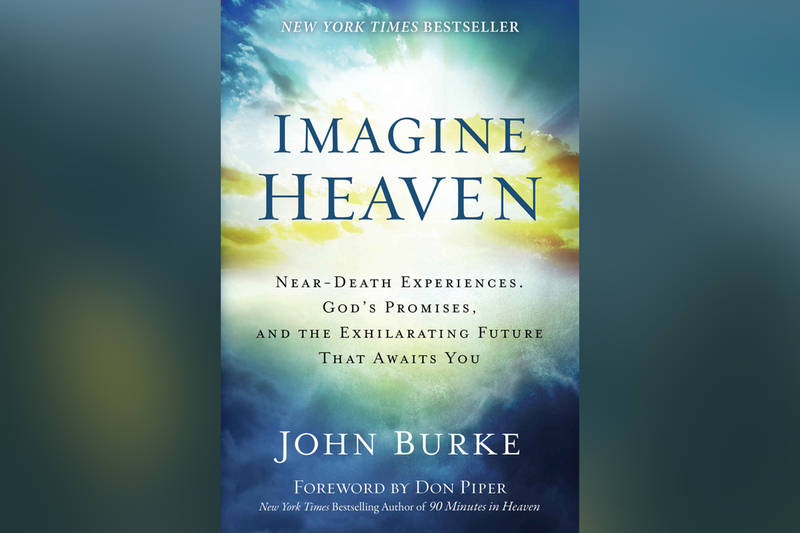 While not every detail of individual NDEs correlate with Scripture, Burke shows how the common experiences shared by thousands of survivors clearly point to the God of the Bible and the exhilarating picture of heaven he promises. Imagine Heaven is an inspirational journey through the Bible’s picture of heaven, colored in with the real-life stories of heaven’s wonders. Burke compares gripping stories of NDEs to what Scripture says about our biggest questions of heaven: Will I be myself? Will I see friends and loved ones? What will it look like? What is God like? What will we do forever? What about children and pets? This book will propel readers into an experience that will forever change their view of the life to come and the way they live life today. It also tackles the tough questions of heavenly reward and hellish NDEs. Anyone interested in NDEs or longing to imagine heaven more clearly will enjoy this fascinating and hope-filled book.